marathon, originally uploaded by jahansell. This photo is cheating, because I didn't take it for this blog, nor is it in Sharon. 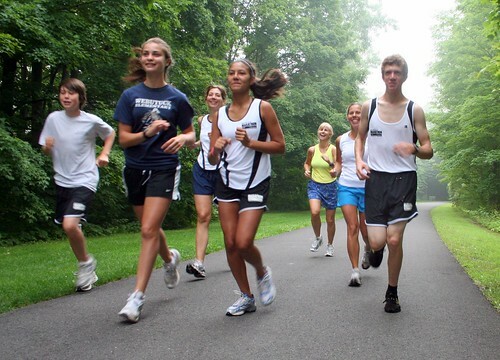 It's a group of teens training for the Philadelphia Marathon - I'm one of the volunteer "mentors" - training with them. I don't do much mentoring since I'm so much slower than they are - I see them at the beginning and again at the end! We have a good time and it forces me to get out and run.